Do you have aspirations of an early retirement? If so, it is important to investigate all of your options and even more important to start saving for retirement now. A 401(k) is a savings plan created by employers. Eligible employees can make contributions directly from their paycheck without being taxed. Subsequent earnings are tax-deferred. Early withdrawals are subject to penalties. If a 401(k) Plan is offered to you through your place of employment, take advantage of it. Many companies offer a matching program. This means that whatever you contribute is matched by your employer, usually up to 5 or 6% of your income. In order to receive these additional funds, you need to participate at a certain level in your 401(k) plan, but as long as you can do that, why wouldn’t you? Free money is hard to come by. Another popular plan with definite tax advantages is the Individual Retirement Account. With a traditional IRA, you save tax-deferred money that gets invested in a variety of ways. If you already have a 401(k) through an employer, you can save even more for retirement with an IRA. Savings in an IRA is typically invested in the following ways. Stocks and Mutual Funds – By far the most popular choices, these are arguably the best way to increase your savings. Some people are adverse to risk and, therefore, afraid of this option, but stocks and mutual funds generally beat inflation and allow your money to compound via dividends and increases in share prices. Bonds – Putting your money into bonds is a good choice for the more cautious of investors. You will still end up with more than with money markets and CDs. Dividends can be spent or reinvested..
CDs and Money Markets – These options are your safest option, but give the lowest amount of interest. A Roth IRA is another type of retirement plan where your earnings grow tax-free, similar to that of a self invested personal pension in the UK. The difference is, you have to pay taxes up front and, in order to let your money accrue tax-free, hold the account for a five year minimum. There are fewer investment restrictions and withdrawals are tax-free, though certain rules may apply. 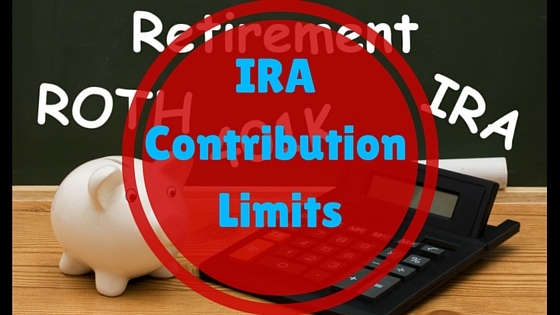 Changes occurring within your Roth IRA (interest, dividends, capital gains) are not taxable. Contributions are not tax deductible, but once deposited into your account, your money will grow free of taxes. This type of retirement plan is solely for the employees of certain public schools and other organizations that are tax-exempt. Some ministers fall into this category. You, the employee, can not set up a 403(b) account for yourself. Only your employer can set one up for you. Contributions are made by your employer through salary reduction agreements. Some plans allow you to make after-tax contributions. If you are ready to start saving for retirement, take a minute to educate yourself. You’ll be glad you did.